We almost forgot about fall. Not intentionally. But it happened with booked up and busy weekends and a failure to plan ahead. 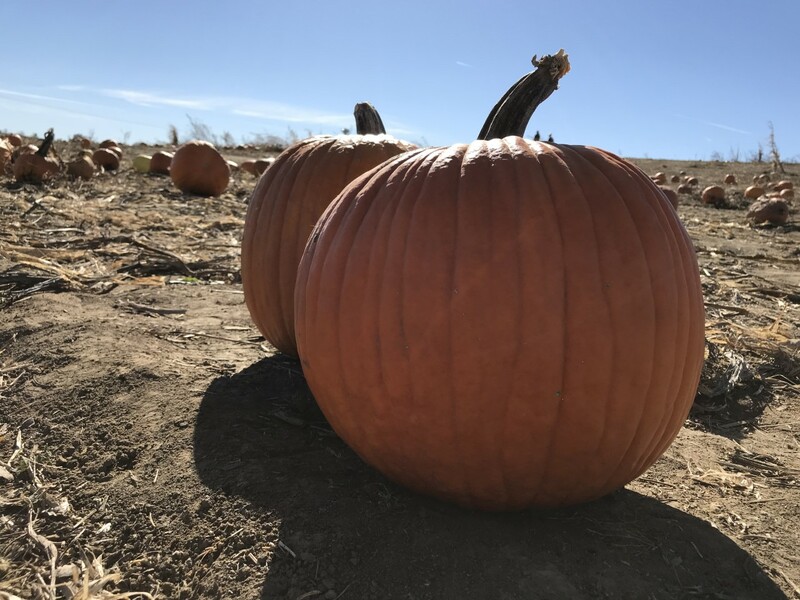 In a mad dash to tackle our fall traditions, we headed to the pumpkin patch on October 28th to pick the perfect pumpkins and return home to carve them. The day was beyond beautiful. Blue skies, no long lines, and the perfect pumpkins had waited for us in the patch. Inhaling the crisp fall air and hearing the crunch of leaves under our shoes was good for our souls. We were happy. We returned home where my parents joined us for pumpkin carving and I prepped a chicken potpie for dinner. It was idyllic to say the least. That is, until the carving knives and kits came out. My youngest, 12 year old Sophia, picked the hardest pattern in the approximate 7 pattern books we have accumulated over the years. Her sole and stubborn aim was to win my office pumpkin-carving contest. She would not concede to my appeals to select a simpler style. Her pumpkin skin was about 3 inches thick. We argued for the better part of 2 hours while she incessantly stabbed at the pumpkin to make tiny slivers of ghost eyes. She kept complaining and asking me to fix it. 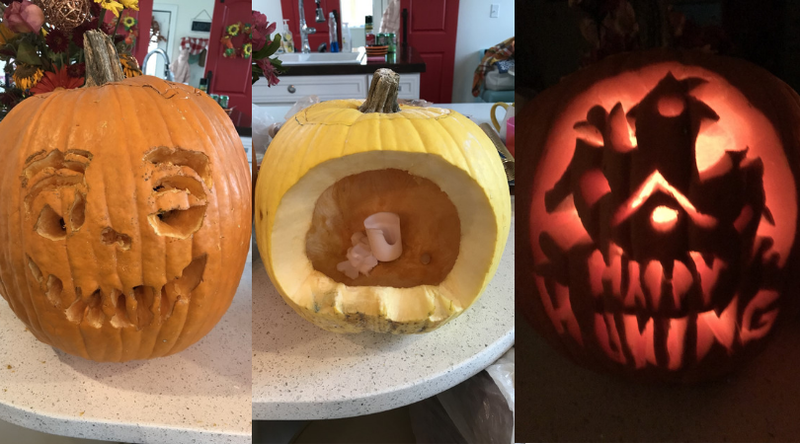 I steadfastly declined, forced smiles, and stabbed at my own carving. My eldest, 14 year old Anna, printed a Charlie Brown pattern from the internet. It would require skill, and by this time I kept my mouth shut. Within 45 minutes the design caved in and left a gaping hole. Anna fought back tears and pled with her sister to have the remaining small yellow pumpkin Sophia had planned to paint. She and Sophia fought for a half hour. Finally a shamed-by-her-mother Sophia caved only to have Anna’s pumpkin design cave in again. When my dad and I finally finished (while Sophia was about 1/2 way through hers), we turned off all the lights. I excitedly lit the candles. I blinked. Then realized, I had been distracted by the bickering. Instead of Happy Haunting – my pumpkin read “Happy Huning.” I had not even noticed my mistake it was lit up. We all burst out laughing. Anna declared it an official pumpkin disaster. I was reminded for the umpteenth billion time that in all of our messiness, life unfolds. That some of our best memories with our children unfold in the complete imperfection of our days, and that our expectations versus realities can bring tears, bickering, and ultimately belly-aching laughter.